NEW YORK STATE (May 11, 2015) – May is Motorcycle Safety and Awareness Month. This designation serves to remind motorists to watch for motorcyclists and stresses the importance of motorcycle safety as more bikes are on the roads with the onset of warmer weather. In 2013, there were more than 5,100 motorcycle crashes in New York State, resulting in 171 fatalities and more than 5,000 injuries. 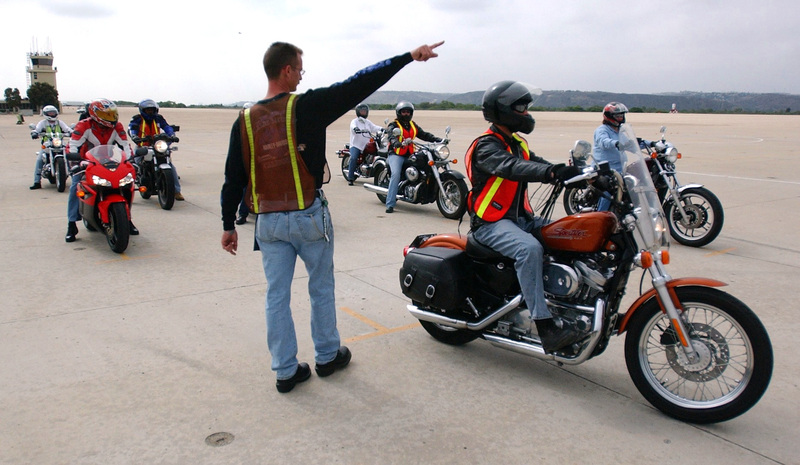 Nationally, 4,668 motorcyclists were killed in traffic crashes, a decrease from 2012 (4,986). Those deaths account for 14 percent of the total highway fatalities that year, despite motorcycle registrations representing only 3 percent of all vehicles in the United States in 2013. "Through the New York State Motorcycle Safety Program, the Motorcycle Safety Foundation offers training courses to match a variety of skill levels and rider experience," said Foundation Program Manager Ben Zadrozny. "Whether you are new to motorcycling or have been riding for years, training is an essential part of being safe on the road. The best place for a new rider to start once they’ve made the decision to ride is by completing a MSF Basic RiderCourse. According to the U.S. Department of Transportation’s National Highway Traffic Safety Administration (NHTSA), motorcyclists are 30 times more likely than occupants of cars to die in a crash, and five times more likely to be injured. Wearing brightly colored protective gear and a DOT-compliant helmet. More information can be found by visiting the DMV’s Web site at www.dmv.ny.gov, the Governor’s Traffic Safety Committee Web site at www.safeny.ny.gov, or the New York State Motorcycle Safety Program Web site at www.nysmsp.org. For more information, please contact the DMV Communications office at 518-473-7000.